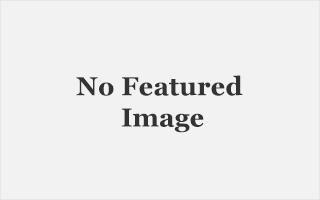 Complete unbiased review of best baby gates for stairs in the market. Gates were designed to keep people in or out of a place. In your baby’s case, this might just be what you need in order to stop worrying about whatever crazy stunt your baby is currently pulling while you go about some other business in the house. As a parent, you should definitely relate to this, and I shouldn’t have to explain why you need it. However, there are other questions that need to be answered as touching baby gates. I have most of them answered for you here as I review some of the best baby gates for stairs in this article. 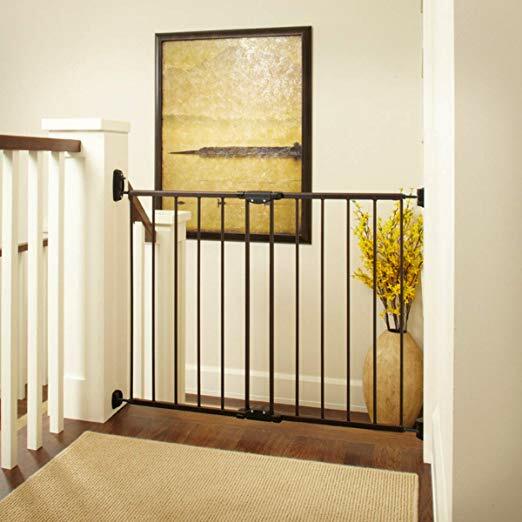 When should I buy a baby gate for stairs? As soon as your baby is capable of moving from one place to another, you definitely should. Most household accidents are attributed to step misplacement on stairs, and for your baby, that’s an understatement. So, make sure you have the baby gate installed as soon as he or she starts crawling, long enough till your baby is above two years old. For stairs, you need two gates, for the top and bottom respectively. You don’t want your kid preparing for a mountain climbing career on your stairs at that young age just as much as you should be mindful enough to prevent him or her from falling down those stairs. I also recommend that you use identical gates. For kids, learning is mostly visual and less oral. So, these gates having the same colors represent the restriction areas and with time, your kid understands this and doesn’t even go close to it again. It worked for me… I bet it will for you too. The design of the gate matters in terms of its ability to hold off your kid from using the stairs even though he or she has a beast mode that provides extra strength to pull things down. This might sound funny, but the reality of it will dawn on you when your kid becomes obsessed with some stuff. There’s always extra energy in their bodies reserved for occasions like that. So, the Locking mechanism has to be strong enough to hold them and easy enough to let you pass without struggle especially when you have your baby in one hand. Also, the design has to be without any loop holes for your child to crawl through in the name of design. The good news here is that you don’t have to sweat the technicality of this concept. Trusted manufacturers have taken care of that for you. The material used to make the gate also matters a lot, probably more than you think. Wooden gates are not recommended, because children love to use their fingers and teeth. With time, your persistent kid may chew through it without you noticing. You definitely don’t want that to happen. As I always advice my clients, the best products aren’t called that just because of their amazing features. They are because they have a perfect blend of good taste, efficiency and cost-effectiveness. Put this in mind anytime you go shopping. Just because it’s good doesn’t mean it has to be pricy. Before I go about giving you my most trusted list of baby gates, I want you to know that I have followed my advice with regard to the conditions I have explained above. I compared this list to the customer’s reviews on each products and I have selected the ones with the features you need as well as the best positive customer feedback. Feel free to take your pick from the list below. This family owned brand understand the importance of child safety especially when they are too young to use the stairs. Originating from Minnesota, thy have set quite a standard for their brand by making safety, simplicity, quality and affordability their major goals during manufacture and sale. The Regalo gate is Pressure mounted gate with easy installation and removal features if need be for adjustment. This Easy Step walk through gate is as 31″ tall gate, comes with an extension (extends gate by 6″ inches) and fits opening from 29″ to 39″. It is perfect for pets too. The Regalo brand also features wall cups to firmly attach the gate to the wall without needing to drill holes or install screws into your railing posts. 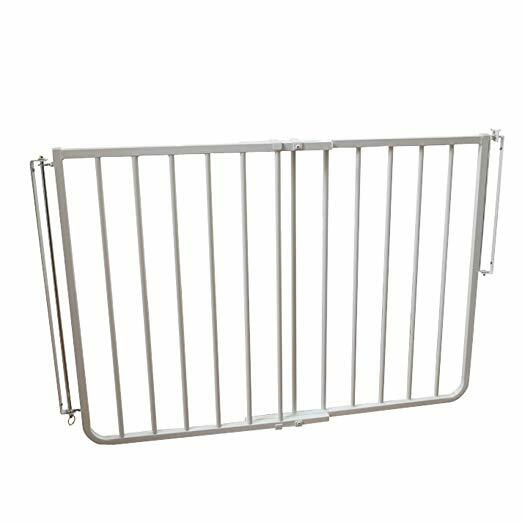 This sturdy gate is very reliable and hard for kids to handle. The one touch release system is very easy for adult passage with a lever style for the safety lock. Perfect design for doorways and staircases with a convenient walk through width. 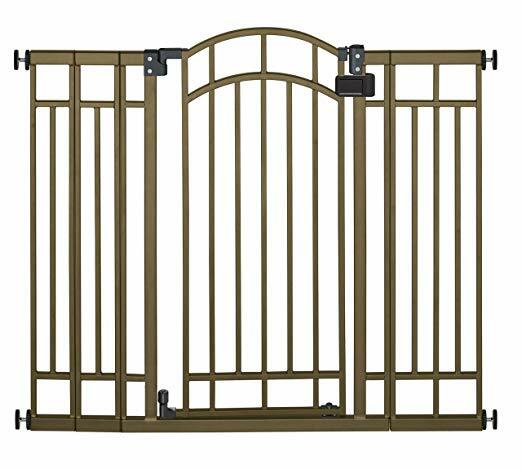 Additional extensions are sold separately to customize gate width to meet any opening size up to 60 inches. There has been various complains about the Velcro in the design that has been the major weak point of the gate. Reviews have shown that some babies have figured out how to rip the entire gate open from the railing. Other reviews explained how there are some failed welding points and errors in the quality of the craftsmanship. But from personal experience, that’s probably an error due to mass production. It’s inevitable. Make sure you take a proper gander at the product before you sign over to the delivery man. 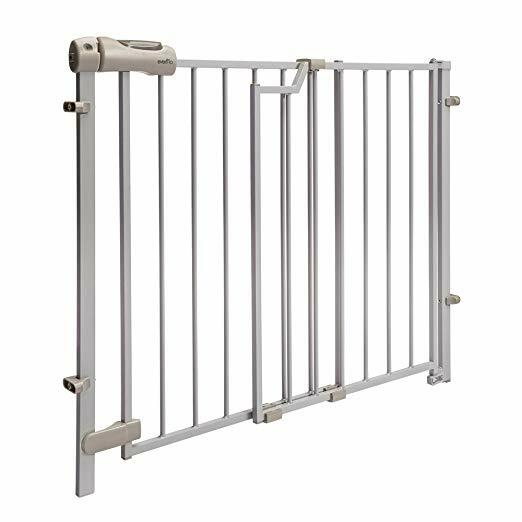 This stylish and easy to use brand of gates has been designed to meet all convenience conditions while keeping your child safe and away from the stairs. The summer infant Multi-Use Deco gate doesn’t just provide security for your baby, it also does so while keeping your house styled. With this, there won’t be any ugly and noticeable changes in your house deco while you install it. It’s so rare to find products that feature fashion while being at their best. It features a dual locking system with an auto-close walk through door. You don’t have to be insecure about forgetting to close your baby gate. The gate is 36 inches tall and fits openings of 28 to 48 inches wide depending on the width of your door. It’s made of Metal and a bronze metal finish which means you don’t have to worry about your child biting or cutting through the gate without your notice. 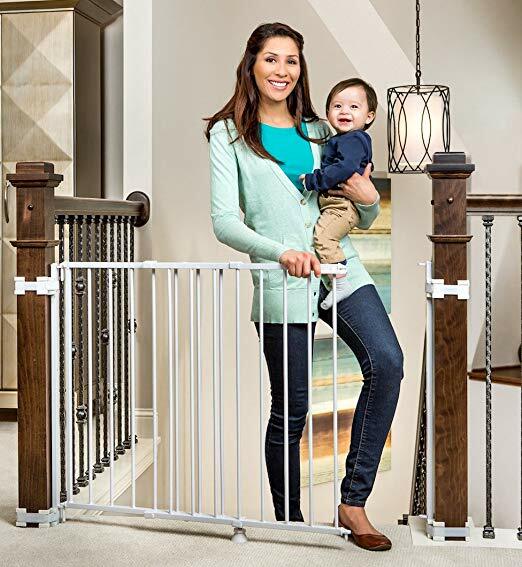 The summer infant baby gate features a removable door stopper for use at the top of stairs and prevents the gate from opening towards the stairs. Babies are not powerful enough to pull doors towards them, and this feature stops them from pushing it with their body weight. The pressure mounted installation method also helps maintain the integrity of your walls and they don’t have to be compromised by nail fittings or screw installations. The bar that runs below the gate can cause accidents for adults especially when the lights are off at night. The Evenflo Easy Walk baby gate prevents kids from household accidents relating to the stairs by providing a secure and easy top-of-stair gate for your house. These features make sure that the product performs up to expectation. Swing control: This feature can be used to control the direction of gate swing. It can be set to either ways or one specific direction depending on the design of your home. There’s also a removable swing stop that secures whatever choice you make about the swing control. Red/Green Lock Indicator: shows if gate is properly locked so you don’t have to keep checking on the gate as much as you would check on your baby. One-hand release handle: This is easy for parents, but too difficult for children to control. This ease makes multitasking possible for parents who might have other items in their hands while they use the gate. The neutral styling blends well with any home décor, thereby helping you mix fashion with security. It’s great for pets too. This brand of baby gates has been rated best for 2016, not as a result of some voting exercise but because of the satisfactions that customers have had while using it for their kids. This alone guarantees that you would at least find it helpful for your baby’s safety around the stairs. Maximum security with the unique locking system that kids couldn’t figure out during testing. According to the company, it took five tries for most adults to master it, but once they did. It becomes really easy once you master it. It also features simple installation with a mounting angle of up to 30 degrees with an adjustable width ranging from 27 inches to 42.5 inches and a height of 29.5 inches. The latch security system also features an optional stop bracket that prevents opening over a stairway for greater safety. For adults, after mastering the latch system out, it requires only one hand operation, which otherwise might be hellish for you if you need to go through the gate without having to put much effort to it. It’s also great for all areas apart from the stairs, so feel free to improvise if need be. The gate is constructed of aluminum which is basically lighter than most materials other gates are made of, including wood and steel. In addition to this, its rust proof and you don’t have to worry about repainting or having rust spread all over your floor. The powder coating also helps with a long lasting and easy to clean surface. It doesn’t swing shut automatically, so you have to actively lock it to be sure of your child’s safety. Keeping your child safe and secure from household accidents are the exact goals of the North states brand. The design of this particular gate has been engineered to block doorways, stairways and other spaces whose access you have decided to restrict from your child. Security safety latch design which can be operated with one hand in case that is all you can spare at the time. It adjusts to fit openings of 28 inches and can be extended to 48 inches and a constant height of 31 inches after assembly. Its preassembled, and comes with a mounting hardware packet consisting of 10 screws, hinge pin, upper latch, upper latch housing, a wrench, a mounting template as well as an instruction manual for professional guidance. It has no threshold to step over to avoid trip and falls of both baby and adult. Reviews have shown that the gate doesn’t extend to 48 inches as described by manufacturer. 46 inches has been recorded to be the maximum extension. The perfect accessory for your baby’s safety only exists when you make an effort to invest in your baby’s safety. There really isn’t a perfect product. However, if you don’t find a baby gate product that does your child’s safety justice in the list provided above, then you probably won’t ever, because there really aren’t any better options in stores. From personal experience with one or two of the products reviewed below, and positive reviews from family friends and on amazon, this really is all you need. Stay safe as your child grows. Previous ArticleBest Diaper Pail 2018: Buyer’s Guide.